Vanessa James and Morgan Cipres of France perform during the gala exhibition at the ISU European figure skating championships in Minsk, Belarus. Romania's Julia Sauter perform in the ladies free skating at the ISU European figure skating championships in Minsk, Belarus. Victoria Sinitsina and Nikita Katsalapov of Russia fall down as they perform in the ice dance rhythm dance at the ISU European figure skating championships in Minsk, Belarus. 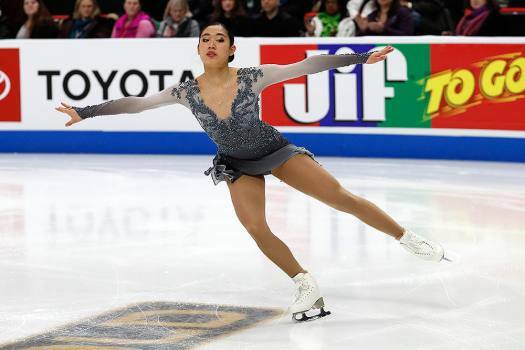 Emmy Ma performs in the women's short program during the U.S. Figure Skating Championships in Detroit. Czech Republic's Eliska Brezinova performs in the ladies short program at the ISU European figure skating championships in Minsk, Belarus. Madison Hubbell and Zachary Donohue, of the of United States, skate during the ice dance practice at the U.S. International Figure Skating Classic, in Salt Lake City. Japan's Misato Komatsubara and Tim Koleto skate during the ice dance practice at the U.S. International Figure Skating Classic, in Salt Lake City. Carolina Kostner of Italy performs during the women's free figure skating final in the Gangneung Ice Arena at the 2018 Winter Olympics in Gangneung, South Korea. 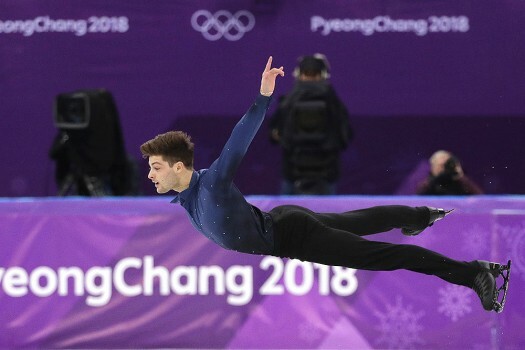 Brendan Kerry of Australia performs during the men's short program figure skating in the Gangneung Ice Arena at the 2018 Winter Olympics in Gangneung, South Korea. 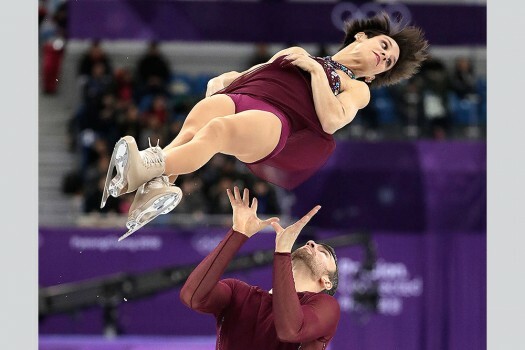 Meagan Duhamel and Eric Radford of Canada perform in the pairs free skate figure skating final in the Gangneung Ice Arena at the 2018 Winter Olympics in Gangneung, South Korea. Rikako Fukase and Aru Tateno of Japan perform their free program in the ice dance event at the ISU Four Continents Figure Skating Championships in Taipei, Taiwan. Misato Komatsubara and Tim Koleto of Japan perform their free program in the ice dance event at the ISU Four Continents Figure Skating Championships in Taipei, Taiwan. 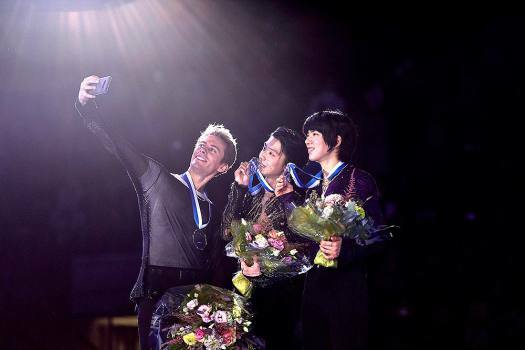 Madison Chock, top, and Evan Bates perform during the free dance event at the U.S. Figure Skating Championships in San Jose, California. 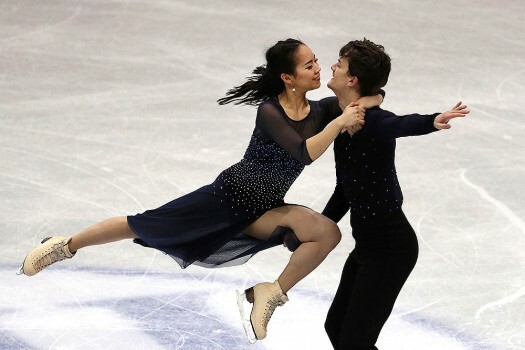 Chelsea Liu, top, and Brian Johnson perform during the pairs short program at the U.S. Figure Skating Championships in San Jose, California. Alina Zagitova of Russia performs during Ladies Free Skating of the ISU Grand Prix of Figure Skating Final in Nagoya central Japan.